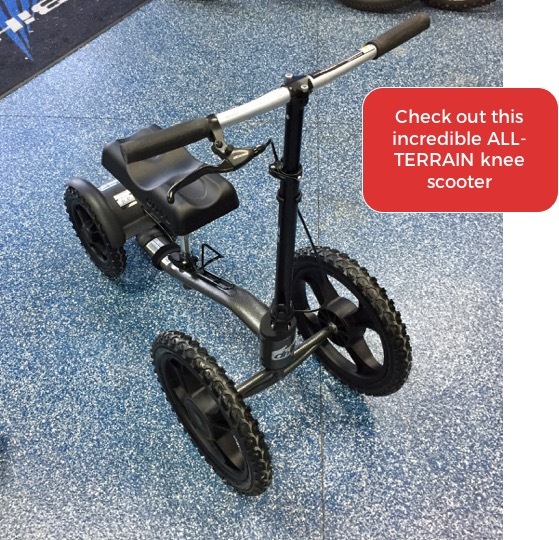 Like a caddy that carries a golfer around the course, a knee scooter is your personal transportation tool when you injure yourself or you’re recovering from leg surgery. Don’t even consider crutches. They’re like carrying your bag through the golf course, alone, and without a clue. Everyone is choosing knee scooters when it’s time to give your leg, ankle, or foot a rest. Are they expensive? Not when you rent. 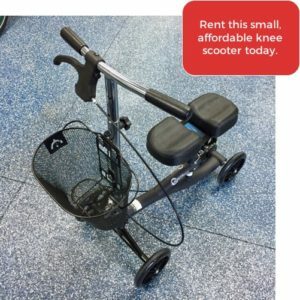 Too many people buy cheap scooters from Walmart when they could rent a really amazing scooter that provides incredible mobility. You’ll be off-roading it or traversing snow with treaded-tires and strong comfortable frames that fit your body. Let’s be honest. You’re not going to want that scooter taking up room in your garage for years. Rent your scooter, then get rid of it when you don’t need it anymore. Scooters can run anywhere between $65-150 per month.